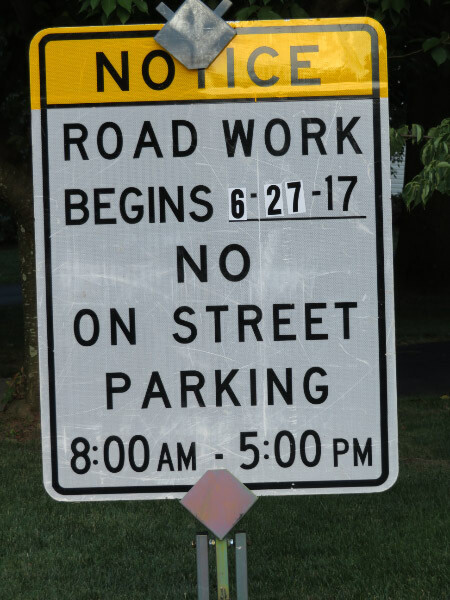 The first indication that something was going to happen to our neighborhood streets, were he signs that appeared in late June…and then the big equipment at the front of the neighborhood. The neighborhood is about 25 years old; the streets did not seem that problematic but I was glad the work was being done proactively….and interested in how it would proceeed. Markings were made on the street around the utility covers and the connections of cul-de-sacs to the primary street into the neighborhood. 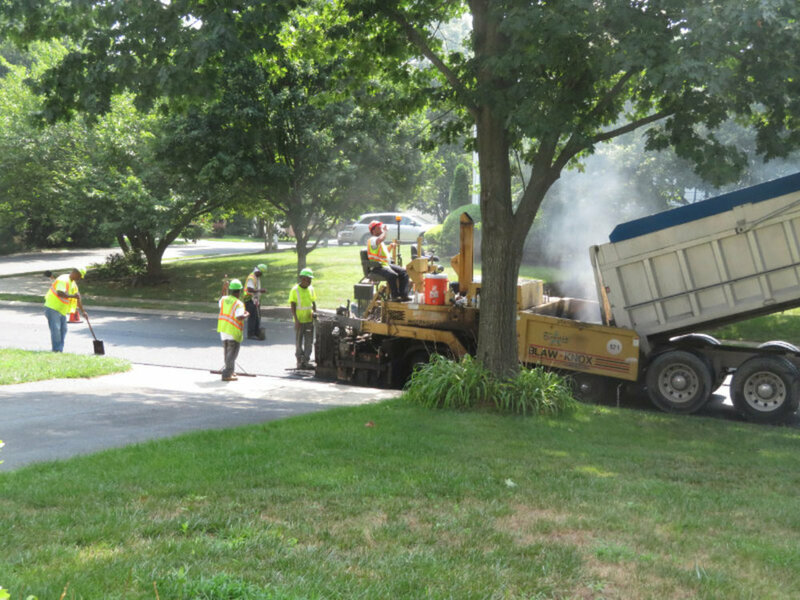 They started at the front of the neighborhood and scraped off the top few inches of asphalt from a few cul-de-sacs. 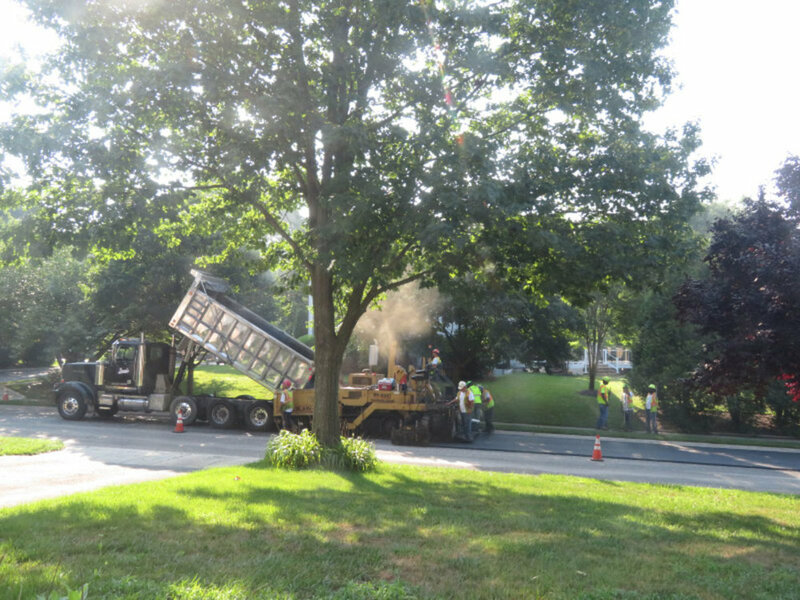 The increased heavy equipment traffic caused some break up of asphalt – a sign that it was old enough to be easily damaged. 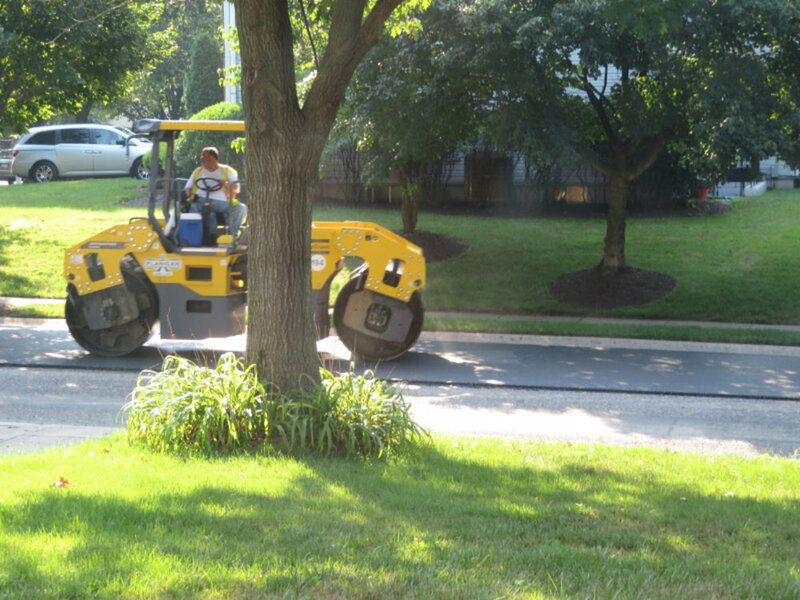 The big equipment finally removed the asphalt from in front of our house in mid-July. A dump truck moved slowly in front of the big machine to collect the asphalt that was scrapped up. Smaller equipment (Bobcat size) came along and removed chunks of asphalt that the bigger equipment didn’t. And then there were street sweepers. Every night when the work was done for the day, the neighborhood was left tidy. Ten days later, the asphalting was done in front of our house. The dump truck carrying the surfacing material links with the equipment and then the two pieces move forward and the layer is put on top of the road bed. Big rollers come along behind and compress the material. By the time all that happens – the new layer is flush with the concrete curb. Our neighborhood looks spruced up with the new street - and the earlier work to replace buckling segments of sidewalk and clear out the clogged water retention pond. 2017 has been a busy year for infrastructure maintenance in our neighborhood!